Apple debuted a new iPad Pro to much fanfare at an event in Brooklyn, New York on Tuesday. While the company upgraded much of the two devices, some intrepid investigators have noted downgrades to the camera and a surprising lack of RAM. 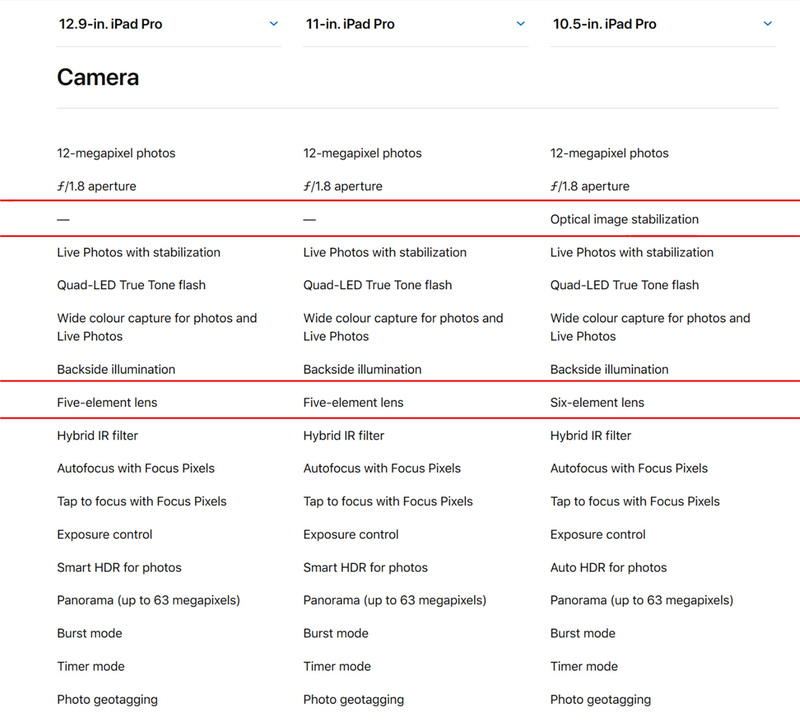 The camera in the new iPad Pro features fewer lens elements than in the previous iPad Pro. Further, it lacks optical image stabilization (OIS). Opening the compare section on Apple’s website and looking at the two new iPad Pro sizes (11-inch and 12.9-inch) and the older iPad Pro 10.5-inch side by side makes the difference clear. 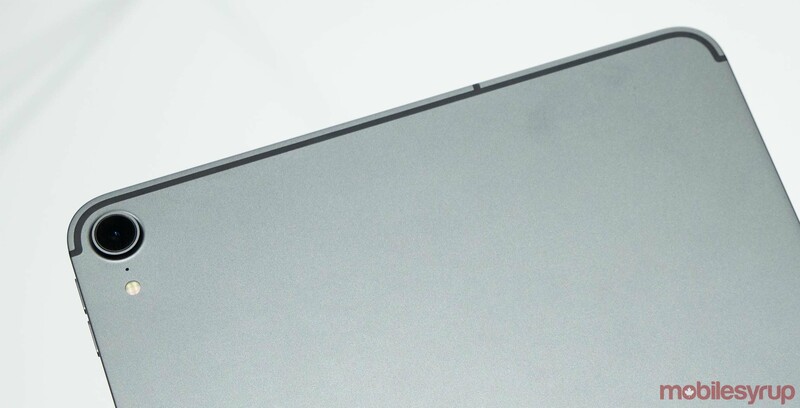 Apple likely decided to save space in its thinnest iPad ever. Further, photography isn’t a big part of iPads. However, Apple did push the AR features of the device, which would likely benefit from OIS. On the RAM front, Twitter user Steve Troughton-Smith (@stroughtonsmith) did some digging in developer tool Xcode and discovered some variants of the iPad Pro would ship with 6GB of RAM. Based on Troughton-Smith’s digging and information provided to him by several others, it appears only the 1TB version of the iPad Pro will get 6GB of RAM. All other models stick with 4GB, like last year’s model. Considering the 11-inch WiFi model with 1TB is $1,949.00, and the price only goes up from there, you’ll be putting out a lot for the extra bit of RAM if you need it. Coupled with some other downgrades, like the removal of the headphone jack, some consumers may not see a reason to upgrade to Apple’s newest iPad.